When we left Preuilly on Tuesday morning, Alex was hard at work in our garden. 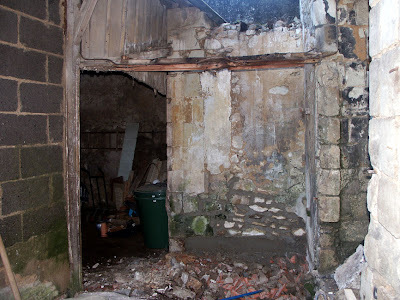 You may remember that when we last mentioned the garden we had inadvertently managed to bring down part of our back wall, and prematurely demolish that part of the garage we were working towards replacing. 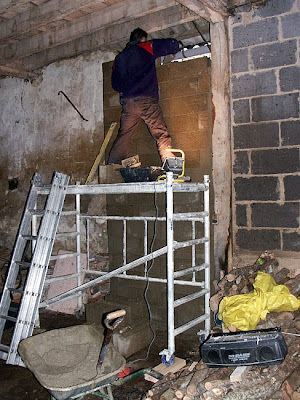 The back wall is now rebuilt on top of its new concrete foundation, and when the weather warms up again (we had rain, sleet, snow and hail yesterday) he will be chipping out all the old pointing and rendering the whole wall with a coat of chaux blanche in the pierre apparente style. 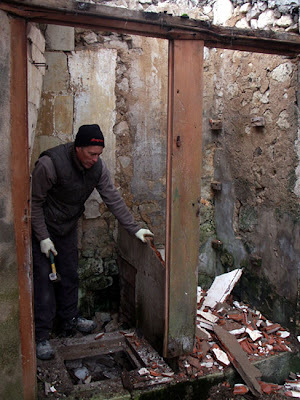 He also built a second concrete step up to the terrace, which means we have about one cubic metre less rubble to shift before we can lay the surface, replaced some bricks in the lower wall that had come unstuck (literally), and removed most of the demolition rubble. The terrace as it looks today. All that needs doing in that section now is levelling the ground surface on the upper terrace, capping the back wall in hard stone to prevent rain damage, and removing some of the iron work that protrudes from the walls at eye level. When the time come for rendering the walls, the cement block and brick walls will be given a layer of slightly peach coloured (it's the traditional finish here) chaux blanche. 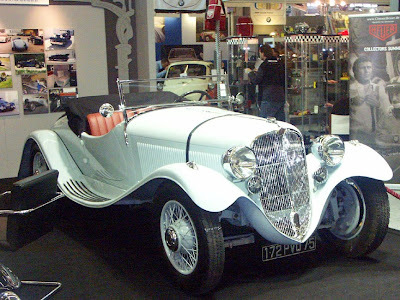 Retromobile is an annual car show, concentrating on veteran, vintage and classic cars. 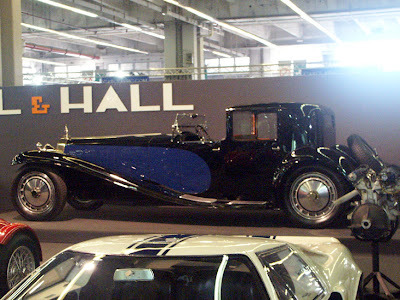 It's held in one hall of the expo centre at Porte de Versailles. Reading that it was on level three of hall 7 made me worried that it would be 8 cars and not much else, but I fretted unnecessarily - it's a huge space with hundreds of desirable cars and bikes. 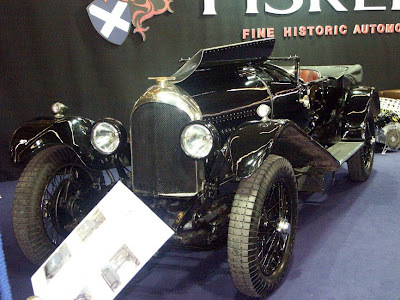 This is a 3 litre unsupercharged model. We got there at 11.am after catching the new tram T3. That in itself was a bit exciting, as I have never been on a tram in Paris before, and trams are a favorite mode of transport. It is a bit of a schlep from the entrance to the Parc to hall 7, but at least it was all indoors on moving walkways. Tickets for the exposition are €13 which I thought a bit scary, but then I haven't been to anything like this for over 10 years, so I am rather out of touch. 24 inch wheel rims. The photo doesn't convey the sheer size! One thing that hasn't changed about these events is the catering: we paid over €17 for a cheese and ham roll, a hotdog, one orange juice and a coffee. Outrageous, and exactly of the poor standard one would expect at a trade show. A very poor showing, but we didn't think that €25 each for a 2 course menu was warranted. 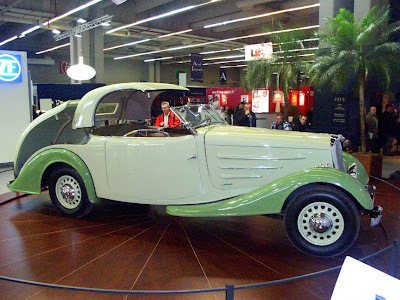 I wasn't disappointed with the cars on display though: Susan has a thing for old Jags, and there was a very stylish C-type just inside the door (no good photo of it unfortunately, too many people standing and gawping), and from there it all just got tastier and tastier. A lot of French cars (as you would expect) plenty of British and Italian cars, and a scattering of American and German classics. 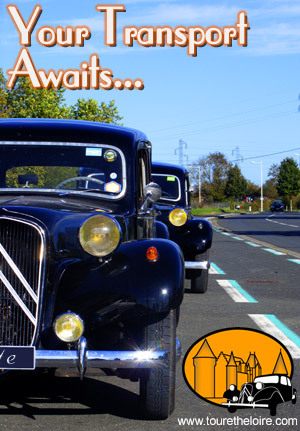 We bought a book about the Traction Avant that looks like it will be really useful- plenty of handy hints for owners as well as having coffee table book style pictures, and the find of finds: 2 headlight bulbs at €10 each. I was tempted to buy some windscreen wiper rubbers (€19) and a queue de carpe (a flattened exhaust tailpipe, fishtail shaped), but didn't. I did speak to the people on the La Traction Universelle stand (all on my own and in French!) about roof racks, and we will probably join the organisation soon - they have some useful resources, and look like they party quite hard. 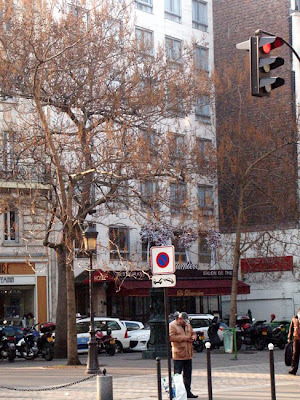 When we are in Paris, we always stay at the same hotel. 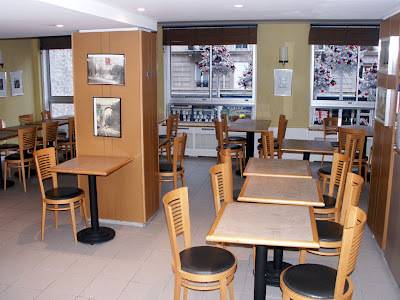 Le Laumière is a two star hotel in the 19th Arr, three stops from Gare du Nord, in a nice middle class area with plenty of shops, cafés and restaurants. One of its big advantages, especially on days like the past few where it has been a touch chilly (didn't get above zero on Wednesday, and the wind wasn't warm either), is that the hotel entrance is only 25 metres from the Metro exit. Laumière Hotel from where you emerge from the Metro. Another advantage is the price: €61 per room per night for room with shower and WC in a two star hotel*. 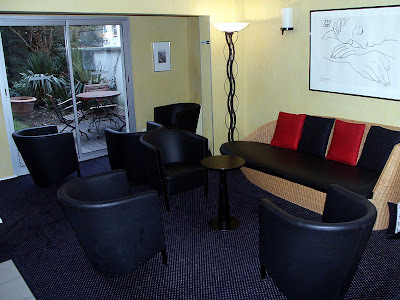 You can pay anywhere from 50% to 200% more for a two star hotel 10 minutes closer to the centre of town. In addition to the restaurants (ranging from west African cuisine to one run by the carpenters' guild) the Parc des Buttes Chaumont is just at the top of the street and one of the nicest parks in Paris, much frequented by locals. 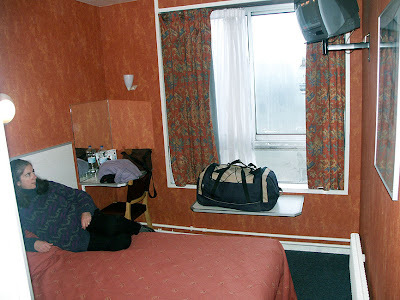 Our room - small and orange, but quite comfortable and quiet. 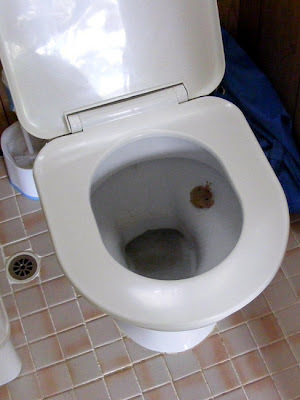 Australian toilet seats have the reputation of harbouring deadly poisonous animals like the Redback Spider, ready to bite any unsuspecting bared bottom that descends. Personally, I always found that the letterbox was much more likely to have a resident redback, but you do have to watch out for creatures living in the loo. The species I'm thinking of could give you a fright, but no more. Tree frogs seem to find the cool fresh water of a toilet bowl congenial and I was reminded of this when we stayed for a few days on the New South Wales south coast. The toilet of our borrowed on site caravan had a resident Southern Laughing Treefrog Litoria tyleri (aka Tyler's Tree Frog). 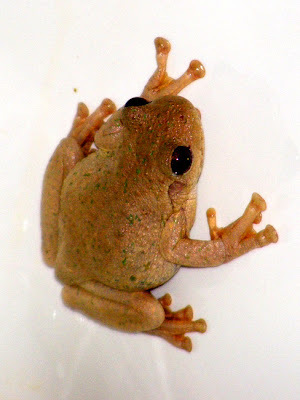 This species is very similar to Peron's Tree Frog L. peronii (aka Emerald Spotted Treefrog), and indeed, it took me a little bit of research to decide which species I had. In a way, it's a shame it isn't Peron's Tree Frog, because then I would have an excuse to tell you all about François Péron. Oh, what the heck, I will anyway! François Péron (1775-1810) was a French zoologist who accompanied a French exploration of the Australian coastline between 1801 and 1803. When the captain of the expedition ship, the Geographe, died before they made it back to France, Péron took on the task of writing the official report. He too died before its completion, but his most significant contribution was the collection of over 100 000 Australian zoological specimens. 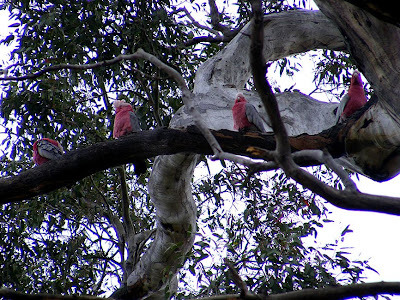 As a consequence, many Australian species are named in his honour, as is a national park and a peninsula. 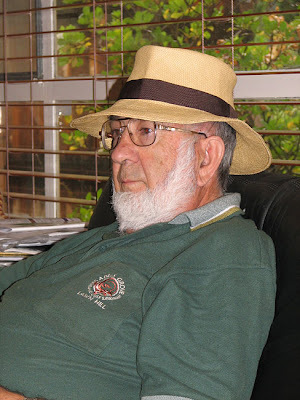 His publications on Australia are not uncontroversial, and cover many subjects including the Tasmanian aboriginals, and suggesting that the French invade Port Jackson with a group of dissident Irish mercenaries to wrest control from the British. Litoria peronii is not the only Australian frog named after Peron. There is at least one other, as well as many sea creatures. Here is a link to the transcript of an Australian Broadcasting Commission (ABC) radio interview with the historian Edward Duyker, on the life and times of Péron. A dashed interesting chap, I think you will agree. I had a tree frog that lived in the spinner of my twin tub washing machine. He was removed before each wash, but always made it back in time for the next. Another post with an Australia theme. One of the great Canberra traditions is the weekend at the coast, the coast in question being "The South Coast", that part of the New South Wales coast south of Sydney. The centre of the South Coast is Batemans Bay, a town of 17,000 people at the mouth of the Clyde River, about 2 hours drive from Canberra. 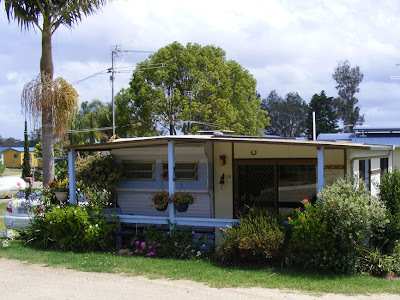 In the last 30 years the South Coast has really grown up: once it was all caravan parks and fibro shacks (there is a great blog about the south coast and fibro shacks here), now in parts it looks like a suburb of Canberra: all unfeasibly large McMansions on improbably small blocks of land. There are places where the old South Coast can still be seen, and the weekend before Christmas Susan and I visited one such place. Tuross Head is somewhere I have visited before, when I was about 12 years old, but I don't recall ever staying there. 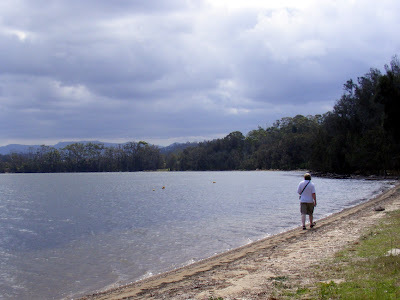 Me walking along the foreshore of Lake Tuross. 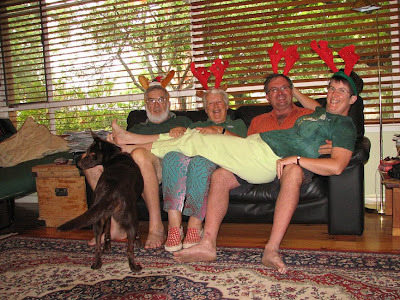 In December last year our friends Rick and Helen very kindly lent us their "Love Shack" - an on-site van with permanent annex sited almost on the waterfront at Tuross. It came fully equipped (even to the extent of having some surf gear and fishing gear) and was the perfect place for Susan and I to gather our strength for Christmas with the families. We didn't do much: a couple of bursts of fishing (total caught 6 small bream and a large flathead that got away), a walk on the beach, and much just sitting around. 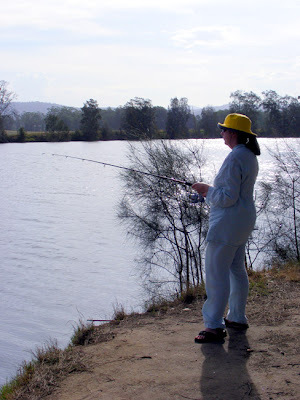 We talked about hiring a "tinny" (a small aluminium boat), going to Montague Island, and bushwalking, and in the end did none. I managed to not even get more than my feet wet (I am so over beaches it isn't funny). Still - It was really nice to get away and see a part of the world I haven't visited for many a long year. It was especially nice, after driving through the suburbia that is Batemans Bay, to find somewhere where parts of the South Coast as I remember it are still visible. 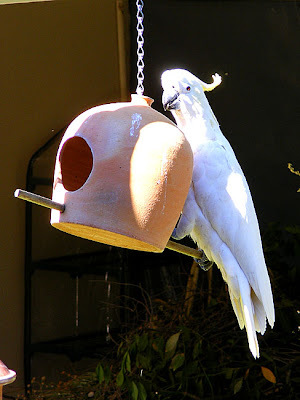 Today is Australia Day, so the blog has an Australian theme for a couple of days. Simon's done a beachy banner with a photo I took at Tuross Beach on the New South Wales coast. 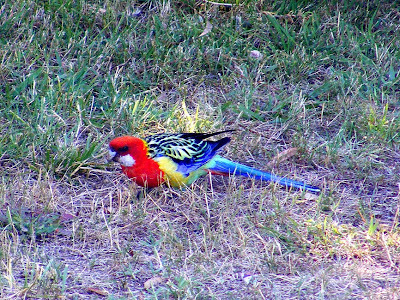 One of the striking things about any visit to Australia is the number and variety of parrots you can see, not just in the bush, but in suburban gardens. 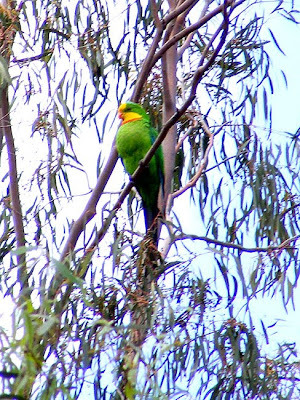 There are 56 species of parrot native to Australia, and all but 5 of them occur nowhere else on earth. Many of them are quite obliging photographic subjects, so here is a selection I took on our recent trip. can be seen just about anywhere. 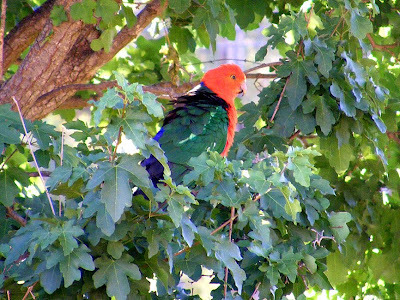 Male King Parrot, in my sister and brother-in-law's garden. hole in the trunk of this tree. 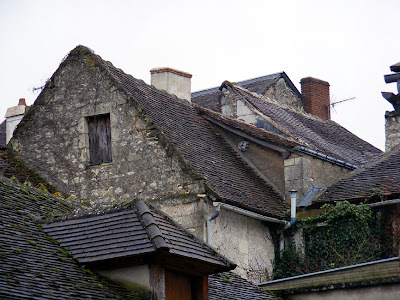 Actually, if you are French, or a purist, you'd better stop reading here, because this post isn't really about rillettes de Tours, it's about making a reasonable facsimile from meat used to make stock. The pork for true rillettes is cooked very slowly in its own fat, making a rich sludge that surrounds the meat. 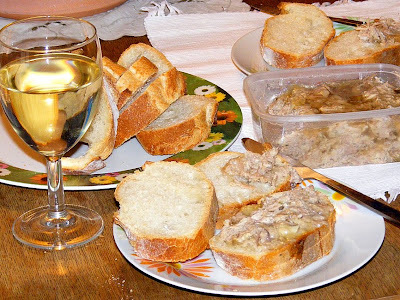 You can read about proper rillettes de Tours in Martine's recent post on Wishing I Were in France. Potted pork in aspic for lunch. My version is a simple, cheaty recipe that makes tasty use of leftovers and cuts down the amount of fat dramatically. Rillettes from the supermarket are about 40% fat - that's a higher fat content than butter cream. The other day I made a light, gelatinous stock from some pork shoulder. The stock was for a Ukrainian soup I wanted to make, but it called for cured pork in the soup, so I was left with a lump of moist, tender and still flavourful pork. There's a lot of nonsense written about how all the goodness from the meat used to make stock transfers into the liquid, and the meat should be tossed after the stock is made. People are prepared to eat factory raised chicken, or tofu - they are just 'blotters' to take up what ever flavour you drench them in, and to provide bulk and texture. So why not use the meat from stock making in a similar way? Often it still has quite a bit of flavour in its own right too. So, I put the traditional flavourings for rillettes de Tours in a saucepan – some sweetish white wine, a dash of red wine vinegar, some white pepper, garlic, salt, quartre épices and thyme – and allowed it to reduce until syrupy. I shredded the pork, added a ladleful of the jellied stock and the wine and flavourings syrup, mixed thoroughly and packed it into two plastic boxes. I left it to 'cure' for a couple of days so the flavours would balance and develop, then I froze one and we had some of the other for lunch yesterday. It looks more gelatinous and less fatty than the real thing, but the texture and flavour are both very acceptable. Since I posted this, Ken, over on Living the Life in Saint-Aignan, has written one of his knowledgeable pieces on rillettes, including a recipe for doing them properly. Click the link to read it. Now we have restarted work on the garden the weather has become more important to us. When we weren't working outside we could just look out of the window and decide if going outside was worth it, but now we have to plan what happens tomorrow, or Tuesday or Wednesday. Cement, concrete and especially chaux blanche needs a certain temperature before it will go off (cure, I guess). If the weather forecast is for very cold or very wet we have to find another task to do, or decide to do nothing at all. This means we keep a close eye on the weather forecast, and luckily there are many forecasts to chose from. The main problem is that of the 5 forecasts we get presented with each day, 2 will be completely different from the others. What we are looking at is Tuesday's (mardi) weather. 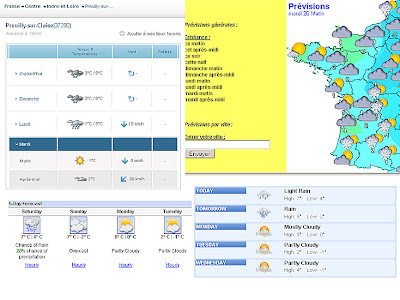 Because Preuilly sur Claise is a small town we don't get our own forecast so we use that of our nearest large neighbour, Poitiers. 3 of the 4 forecasts shown above show Tuesday as starting cold (-1°) and progressing to a balmy 2° in the afternoon. The other shows Tuesday afternoon being sunny but snowy and 0°, as does a 5th forecast (on Google, not shown). Either forecast could be right - but we know that all the forecasts will change before now and then. In the time it took to write this, the Weather Underground forecast (bottom left corner of the picture) changed to -1° to 3°. It doesn't make planning easy! The cold weather has retreated for a while, so it's time to get out into the garden and do some work. 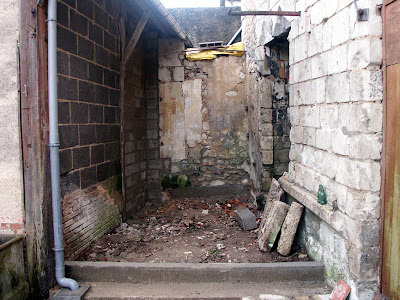 One of the few areas of the garden we haven't yet really tackled is the remnants of the long drop toilets. These are at the end of a little alcove in the garden between the garage and the granary. When we finished work before Christmas and our trip away we had reached as far as putting in a concrete retaining wall at the end of the alcove so we can make a little patio, but we had not really made any firm decisions about what to do where the long drops are. The patient and long suffering Alex arrived on Thursday morning and we started the work we knew had to be done - demolishing the dunnies. 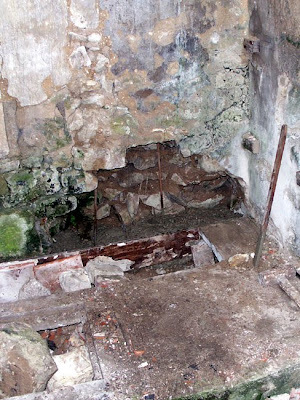 This was essential as what remained of the roof was pushing rainwater against the wall of the granary, and we suspect it is this that was causing the end wall of the granary to be damp. 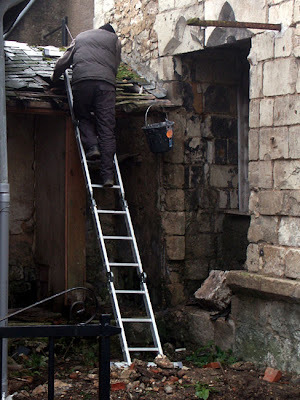 Soon Alex was up a ladder, removing slates (to be reused as mulch) and then the roof beams. Next to go was the dividing wall between the two cubicles. While he was doing this, he inadvertantly touched (literally just touched) the wall of the garage with his back. 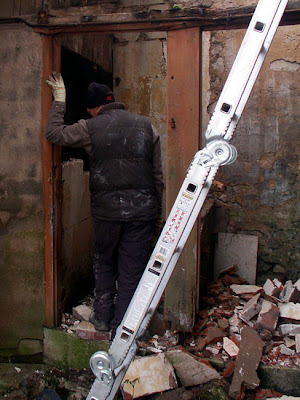 That was enough to cause the wall to fall on his back (it had to come down anyway, and at least his body stopped the falling masonry damaging anything). Luckily the only damage to Alex was to his pride, so work continued after a giggle break. ...the next moment it wasn't. After that was done we started on the concrete floor. We knew this to be suspended over a void, but we had no idea how deep the void was. Our plan was to demolish the concrete pad, tipping the pieces down the hole. We attacked the concrete with a block breaker. This caused the foot of our garden wall to collapse. This wasn't expected, but it was in a way lucky: when we stopped all work for Alex put in a concrete pad as foundation to rebuild the wall we discovered that up to that time it had just sort of been hanging over a bit of a pit. Next step is to rebuild the garden wall on its new base, then finish demolishing the wall that self destructed and the concrete floor to the toilets. Then we can start building our new garage wall and our apéro patio. A couple of mornings ago I went upstairs to Simon, who was still in bed. 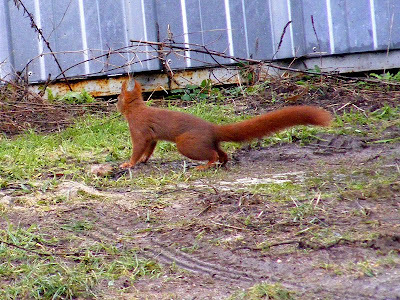 "We've had a little orange visitor", I said. "Oh!" he said, "one of those slugs." "Well, it'll be after your bulbs then." We went for a walk around the town on 1st January, and this little glimpse caught my eye through a gate which is usually kept closed. Just in case we never saw the gate open again I took a photo. I was going to post the photo on here - until I walked past the same open gate on the 17th (after walking past the circus) and took the following photo. You can now see my dilemma - do I post a winter photo that looks like winter, or a winter photo that could have been taken in midsummer (looking at the sky) and have people think I was using up old pictures? In 2002 world leaders met in Johannesburg for the World Summit for Sustainable Development. One of the targets agreed at that meeting was to 'achieve, by 2010, a significant reduction of the current rate of biodiversity loss at the global, regional and national level, as a contribution to poverty alleviation and to the benefit of all life on earth'. Whilst there have been positive results in some places, worldwide, biodiversity loss is estimated to be 1000 times the natural rate, because of human activities and is being accelerated by climate change. featured here in the blog previously. A second Summit is scheduled for this coming October, in Japan, and will set new targets. So what is biodiversity? It's been a buzz word for a few years now. Unlike many buzz words, biodiversity is what you think it is ie. it's the number and variety of organisms within a given area, which could be your backyard, or the whole world. It is accepted that high biodiversity is a good thing. The higher the biodiversity, the more stable and sustainable the environment is. victim, featured here on the blog previously. 900 organisations all over the world are involved in activities to promote public understanding of the role biodiversity plays in sustaining life on earth. These organisations will be encouraging the public to get involved in conservation projects and surveys. 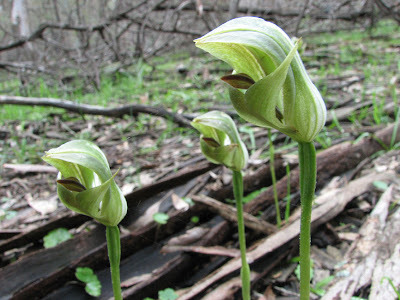 The main focus for events will be May 22, International Biodiversity Day. The International Year of Biodiversity website can be found here, and the British Natural History Museum site for IYB here. 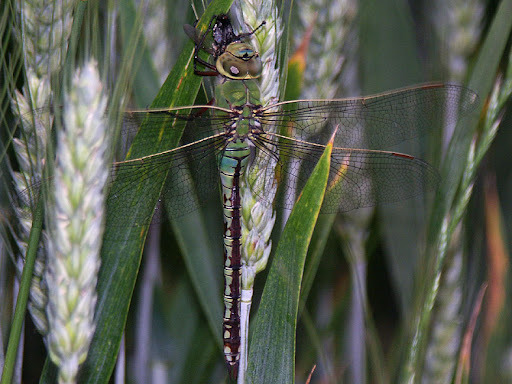 The NHM site gives a lot of information on the sorts of activities individuals can undertake to support biodiversity. on one of our most popular blog posts here previously. Anyone can contribute to biodiversity conservation. If you have a garden, you are probably already doing so. Gardens, especially those with ponds, provide shelter and food for an astonishing range of plants, insects, amphibians, birds and mammals. Collectively, gardens are a significant benefit to biodiversity. To learn more about managing a garden for biodiversity I highly recommend reading Ken Thompson's No Nettles Required: The Truth About Wildlife Gardening. The Natural History Museum in London is running a Species of the Day page on their website for the year. A week ago, we were thrilled to receive an email from Beulah Garner, Zoology Advisor at the museum, asking if she could use one of our photos. 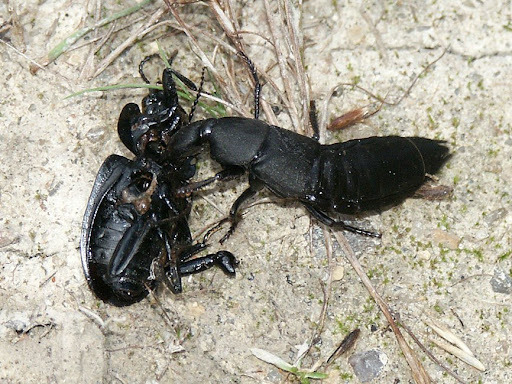 Species of the Day today is Ocypus olens / Devils Coach Horse / le Staphylin odorant. Beulah wanted an action shot, and said our photo was perfect. She even suggested a name for the victim. Do take a look at the Species of the Day page, as there is already a fascinating collection of flora and fauna on show. Sphinx du liseron, featured here on the blog previously. Here is Beulah, talking about why 19th century collections of butterflies are important resources for today's conservation research. She is featured on Alom Shaha's marvellous website, Why is Science Important? Le Muséum national d'Histoire naturelle in Paris is running a series of lectures throughout the year - Comment va la biodiversité en France en 2010. In July 2008 I wrote "The Circus Hits Town" - but I was writing about the Tour de France. Last weekend the circus really did hit town: the Cirque Boltini was at the Champ de Foire on Saturday and Sunday - two performances only. We didn't attend - in fact we didn't know they were in town until Sunday afternoon. We did, however, wander down after our afternoon constitutional to have a look. 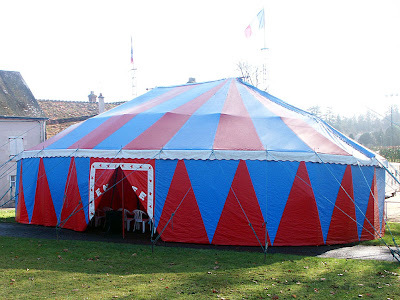 The big top was more of a smallish top - we didn't feel we could go up and look through the door, not having tickets, but from what we could see we guess the capacity is about 40 people. We can't say for sure what sort of acts they have, either, but we are guessing that animals feature: it's not often you see a llama grazing the school car park. 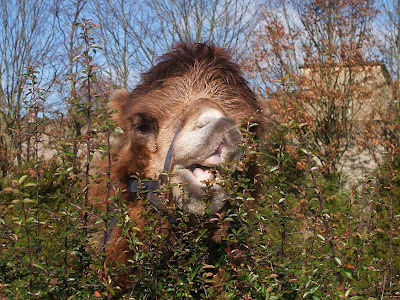 We were also rather taken by the Bactrian camel. Next time the pyracanthus around our potager needs pruning, we'll know where to go! 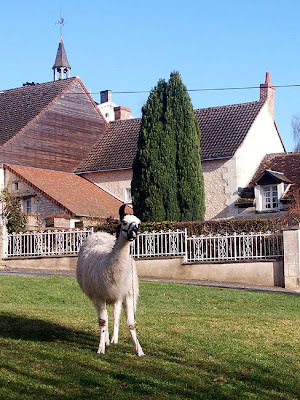 In addition to the llama and camel, there were a couple of poneys (spelled correctly, this is France, you know), a goat and a couple of dogs. The sideshow alley was a bouncy castle (no idea what the French for that is! 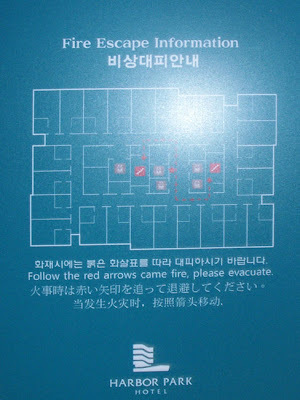 ), and the dressing rooms were 4 caravans. It was a really pleasant afternoon for a walk - 11 degrees and sunny, with exotic animals as a bonus. What more could a man going stir crazy need? All pictures courtesy of my sister, Kathy. My sister in the kitchen. 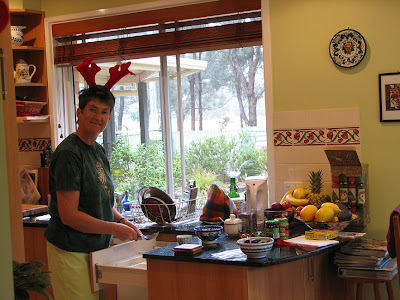 She cooked up a storm over Christmas. where we were turning down chocolate! 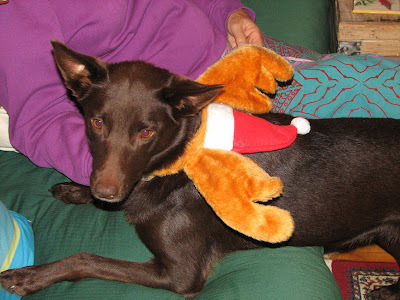 Bungee the kelpie dog, trying to pretend she is an angel. Hah! Simon got a model of Célestine from my parents. A nice photo of my dad. 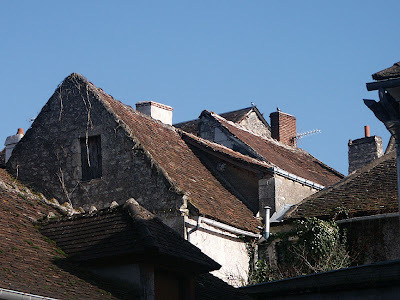 At this time of year it can be a struggle to write something every day for a blog about ordinary life (although I notice that Sweetpea over on the Village de Vaux blog is doing well at the moment). We have been tending to stay tucked up indoors as much as possible, hardly see the neighbours and don't have to do anything about the garden yet. Not much blog fodder in that. 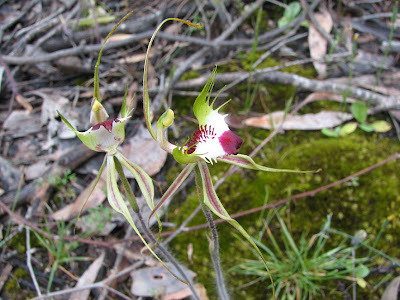 So I thought I'd introduce a wild card, and post some beautiful photographs of Australian terrestrial orchids taken by my sister in the Australian Capital Territory (or nearby). 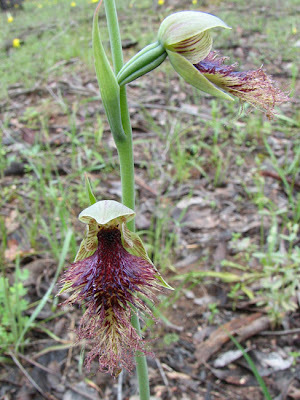 It is, after all, the International Year of Biodiversity, and Australia orchids contribute charmingly to the cause. 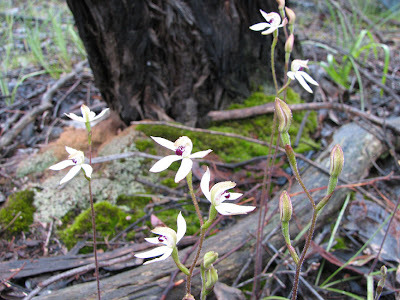 There are 119 species of orchids (and two natural hybrids) in 32 genera in the ACT, which equals 12% of the native flora in the area. For an area of only 2360 km² it is rich in orchid species (1304 species of orchids form 5-6% of the native flora in Australia overall). The only genera there is in common with us here in France is Spiranthes. 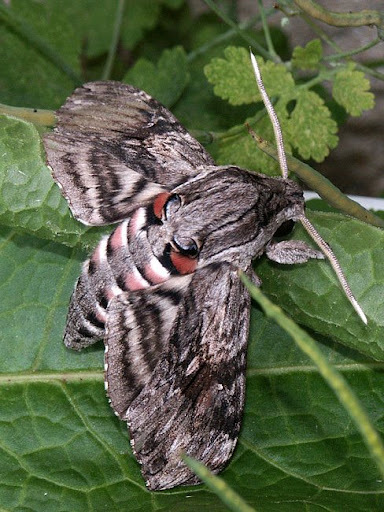 ACT species are all terrestrial and deciduous (or at least have a dormant period). Most flower in the spring. 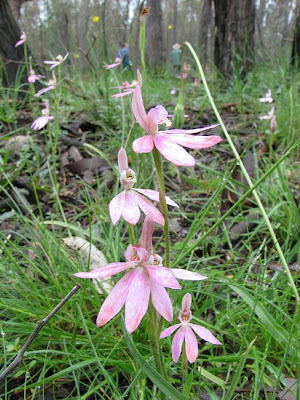 Orchids in the ACT favour habitats of dry forest; montane forest,where the soil is clay-loam, often stony or shallow; montane grassland; montane swamp; grassy woodland and subalpine snowgum woodland. Summer fires followed by rain are a significant trigger to flowering, but the intense fires of recent years have destroyed some colonies. Feral pigs are also a threat, capable of wiping out a colony of orchids. At the moment we are having trouble remembering how hot it was in summer, and how much hard work goes into keeping cool in July and August. Yesterday did get into the positives, it was a whole 2°C. Not as balmy as Thursday, which was 6°C and feeling positively warm, but nowhere as cold as it has been for most of the past 3 weeks. Earlier this week we went down to the potager and took this photo. All the trees appear to be setting new growth already (isn't it too early? 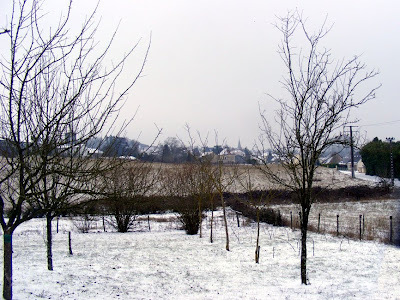 ), but as I am no expert on the weather, trees or gardening, I will make no predictions. In another 4 months it will look like this again. 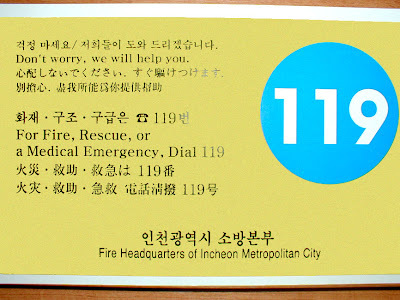 One of the things you should always do when you stay in a hotel room is read the fire alarm procedures. This is very important. It can also be interesting. I am glad that's all clear then! It isn't only the Koreans and fire notices: this is a safety notice from the velorail at Chauvigny. Aren't you glad when everything is made so clear? 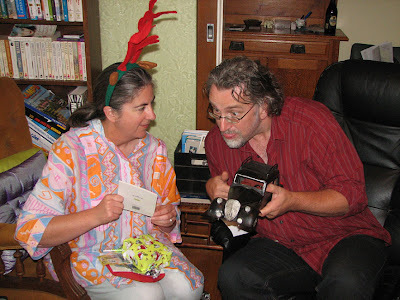 This last photo was taken by Rick (of Rick and Helen fame) when he visited a couple of years ago.